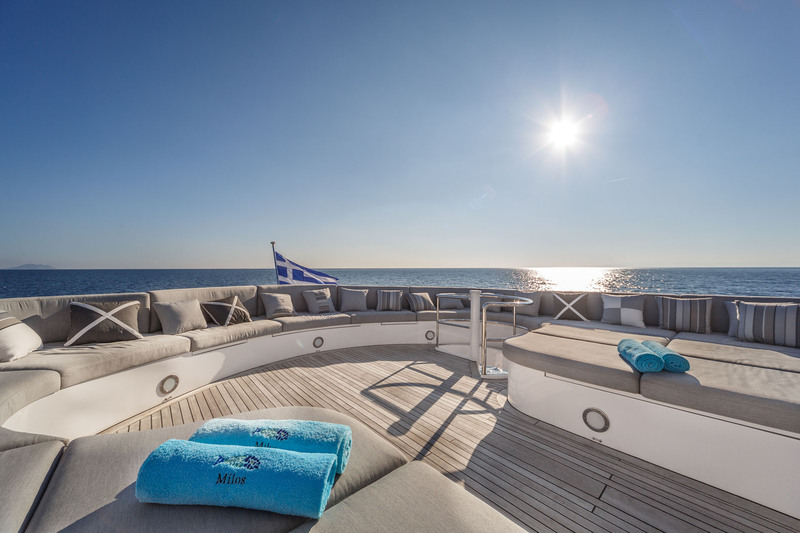 Motor yacht MILOS AT SEA (Ex MiMu) is a 35m charter yacht built by Codecasa in 2000 and refitted in 2015. 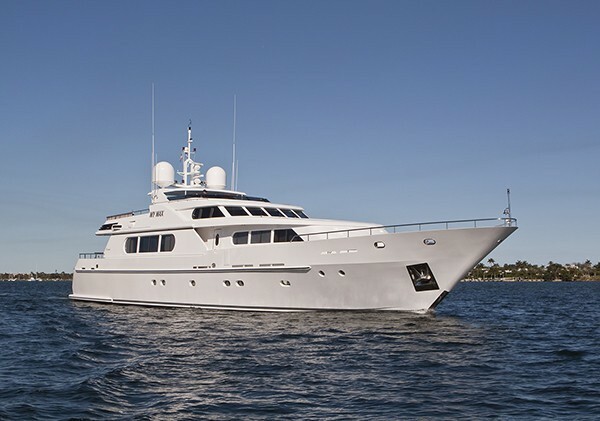 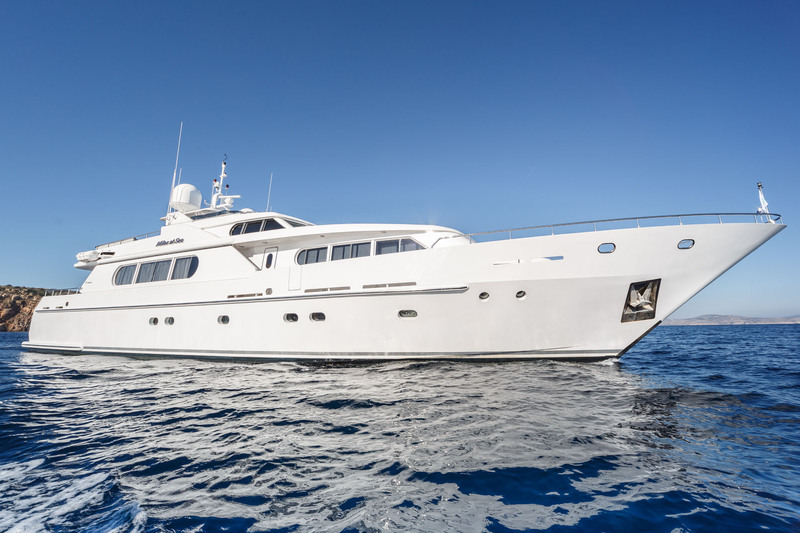 M/Y MILOS AT SEA is a great 4 stateroom yacht with two master suites, well suited for 10 guests. 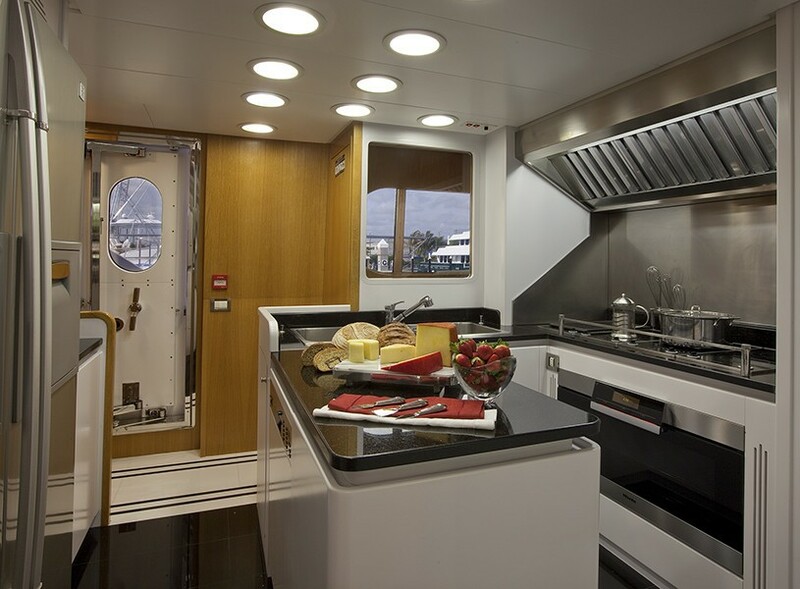 The spacious fly bridge offers covered dining as well as a full sun deck area in an open plan aft. 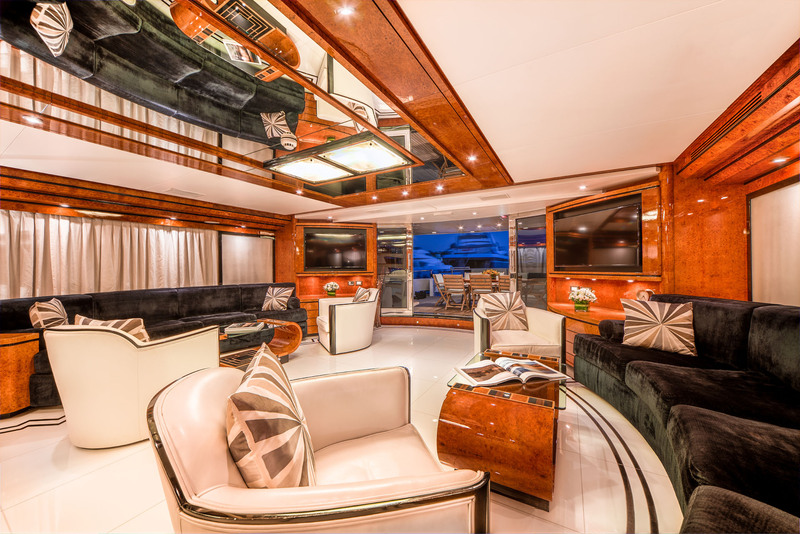 The luxury motor yacht MILOS AT SEA boasts a large open plan salon and formal dining area that spans the full width of the yacht. 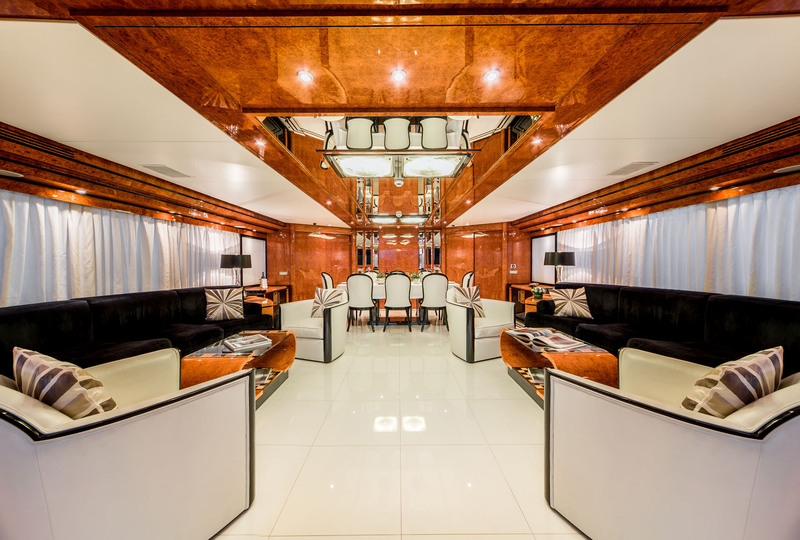 The lounge area features 2 leather sofas and 4 armchairs with matching coffee tables and there is a large screen TV with DVD, CD, Satellite TV. 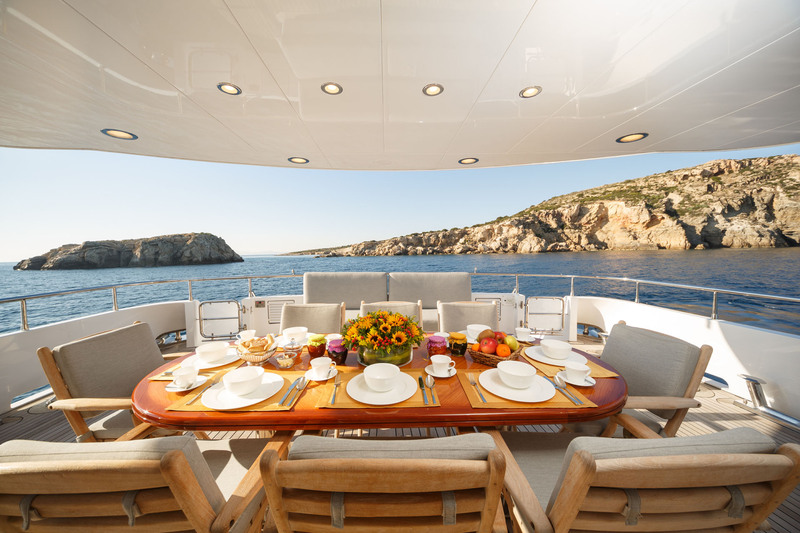 The lovely dining table can seat up to 10 charter guests for formal dining. 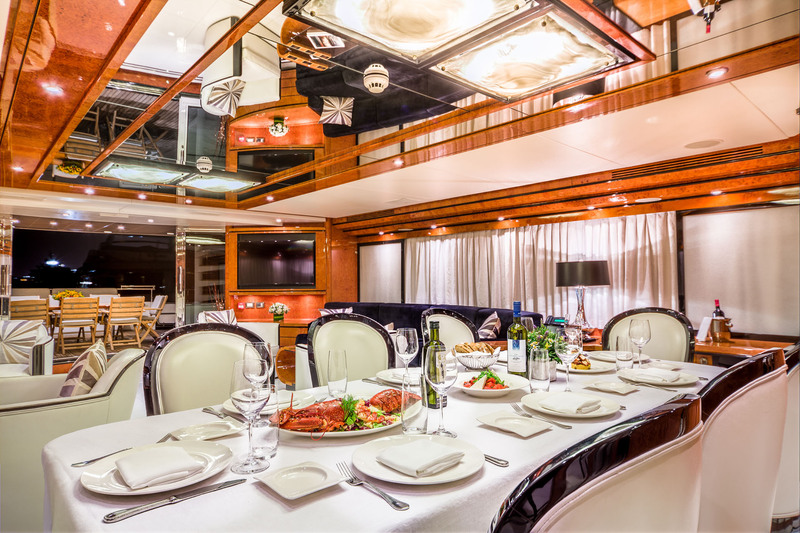 There are mirrored panels behind dining table and overhead mirrored ceiling with Murano glass lighting features. 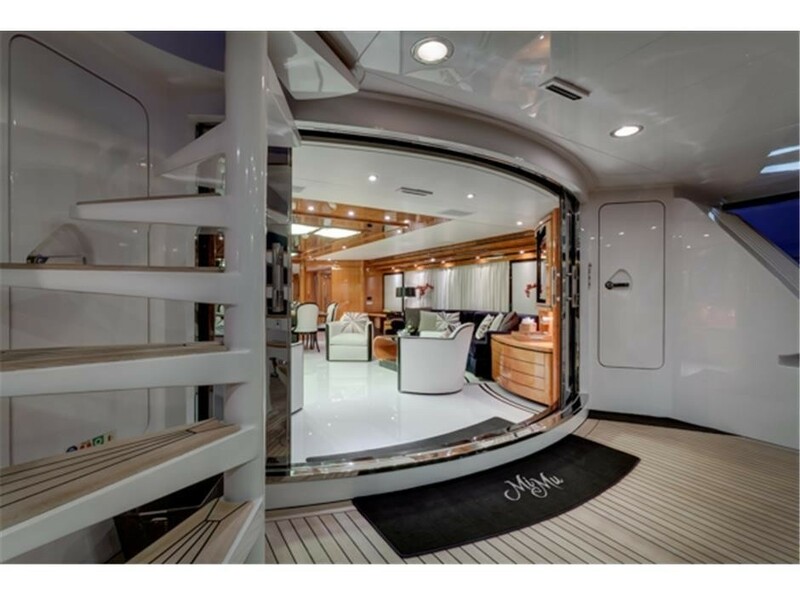 To the aft, there are double electrical glass sliding doors leading to the aft deck. 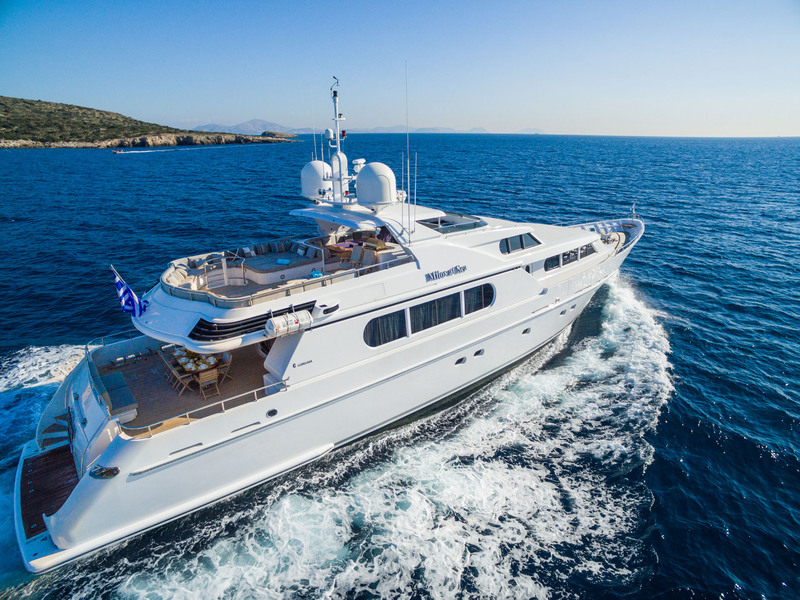 Yacht MILOS AT SEA is able to accommodate 10 charter guests in 4 cabins including the master cabin that boasts two separate his and her bathrooms, both with showers. 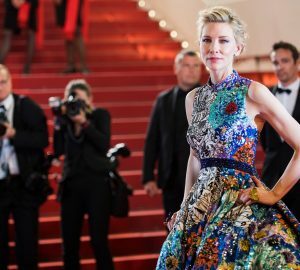 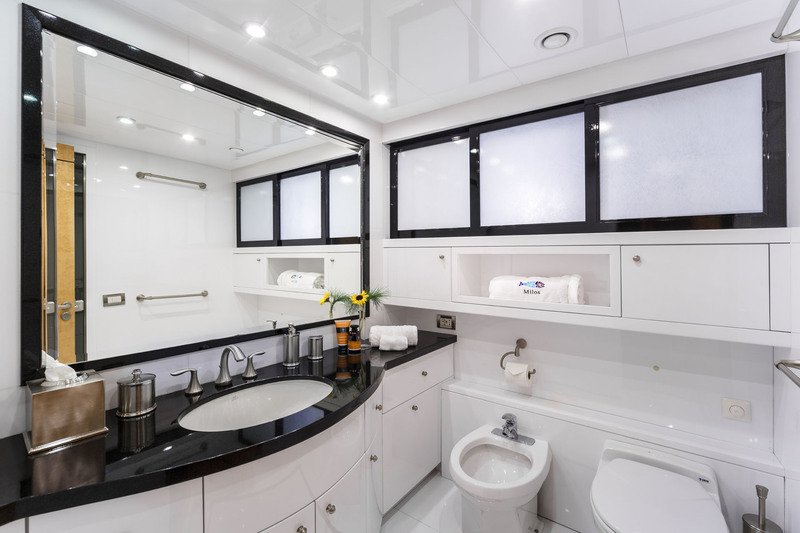 The wardrobe entrance features two full closets and may be closed off from the main stateroom. 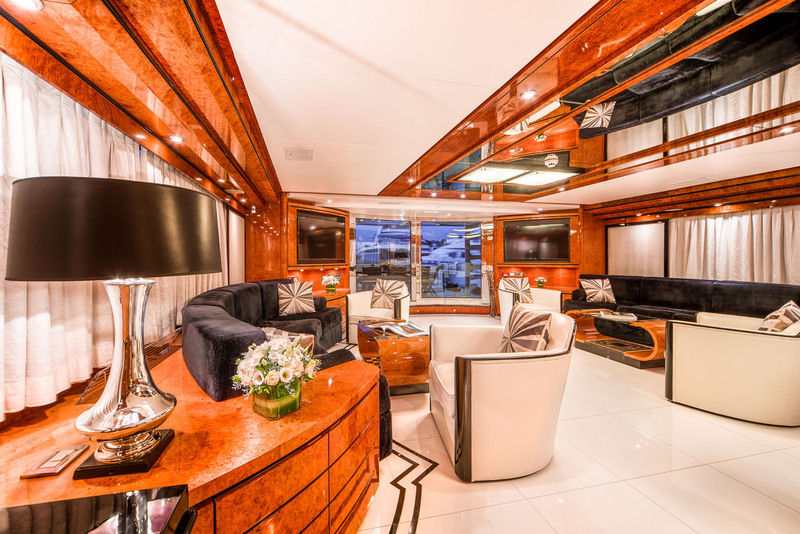 The cabin also features a vanity and 40" flat screen TV with BlueRay, CD and satellite. 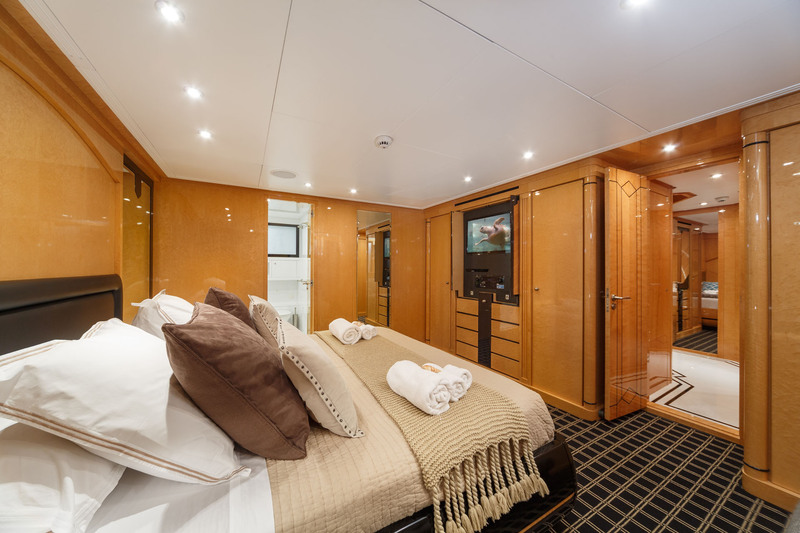 The remaining 3 cabins are located on the lower deck and include a VIP located aft with sofa, en-suite bathroom with shower and a double sink as well as plenty of hanging closet space. 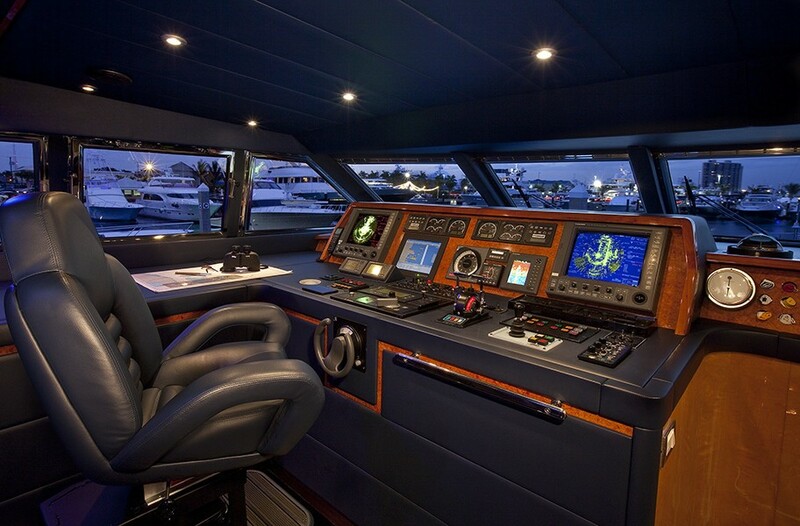 There is a 32" flat screen TV, BlueRay and CD. 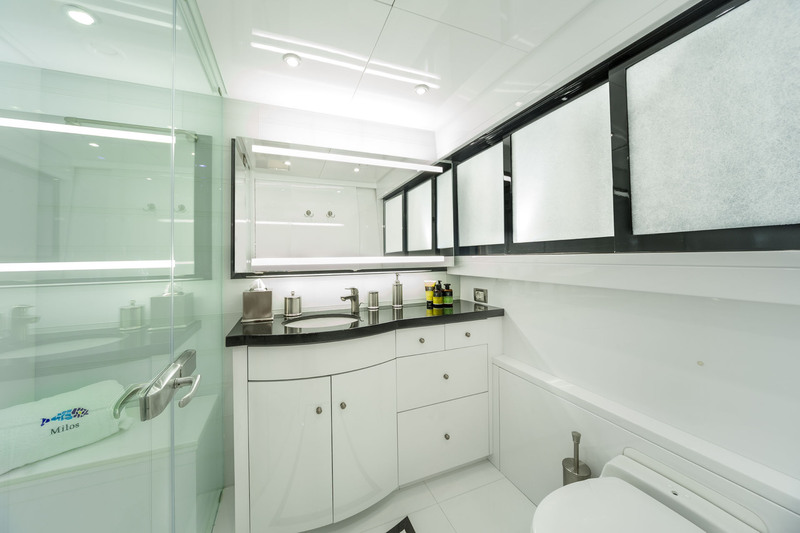 The starboard Twin cabin has an en-suite bathroom which also can be accessed from the guest foyer as a day head. 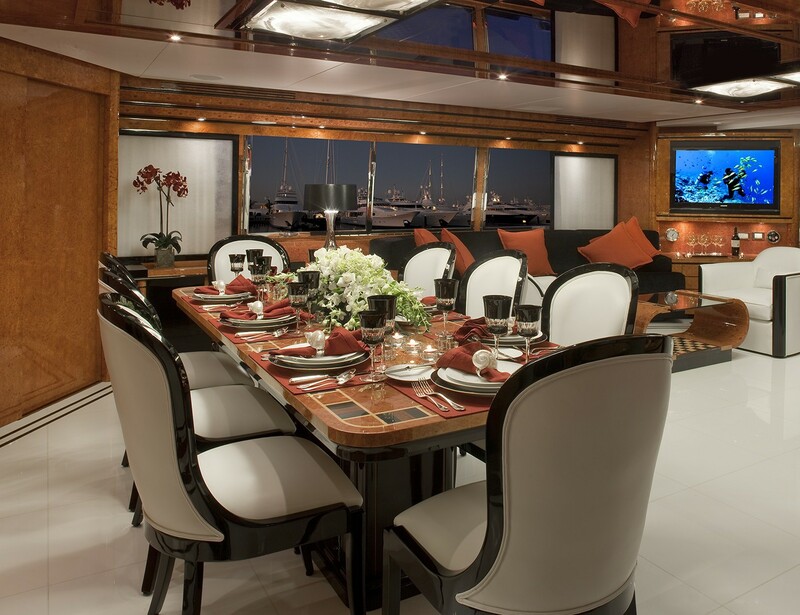 There is a small desk, hanging closets and TV with DVD, CD and satellite. 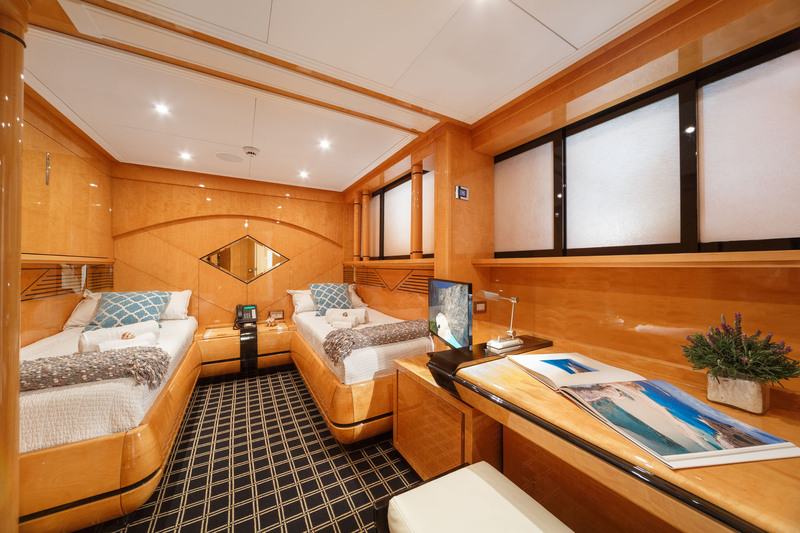 The port Twin also has an en-suite bathroom with shower and slightly more floor space between the desk and sleeping area. 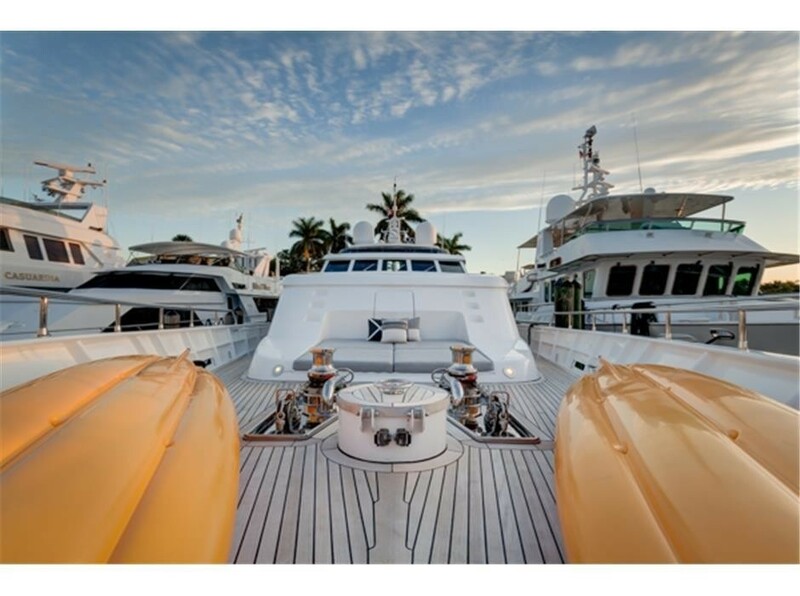 Both have plenty of hanging storage and full AV. 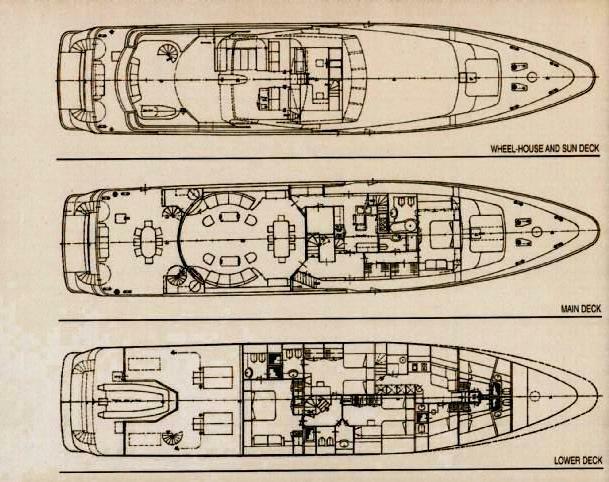 Both of the twin staterooms each have one Pullman bunk. 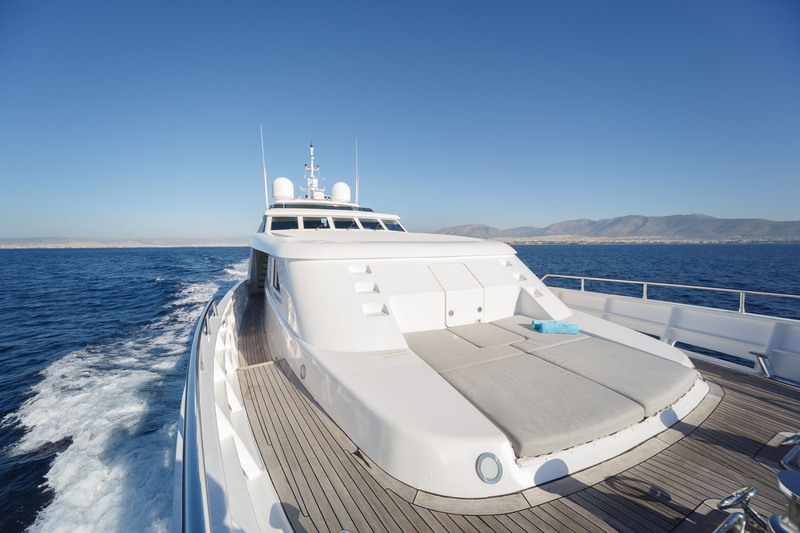 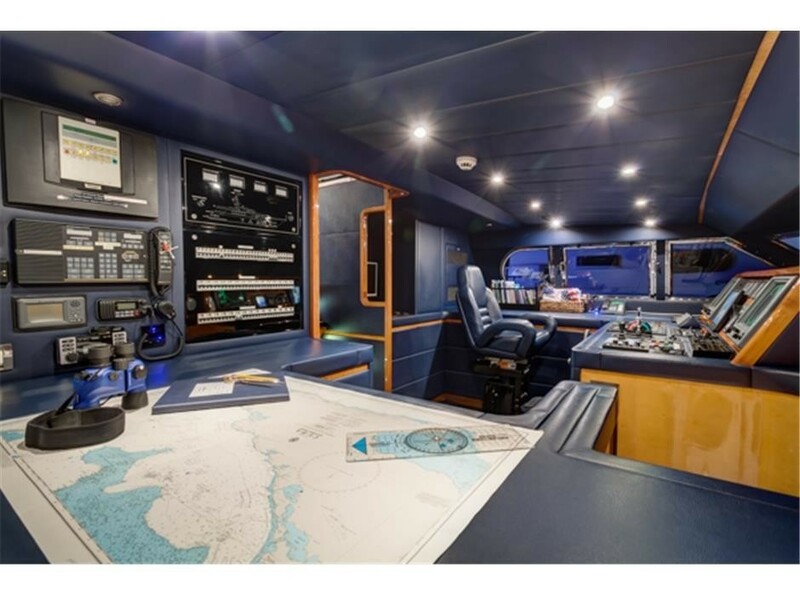 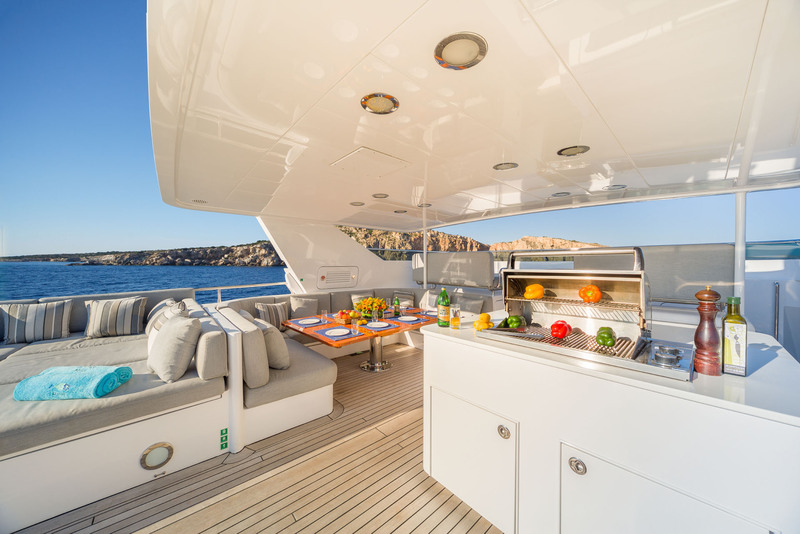 The MILOS AT SEA motor yacht also has excellent deck space with a large sundeck/ flybridge that offers plenty of guests entertaining and lounging space. 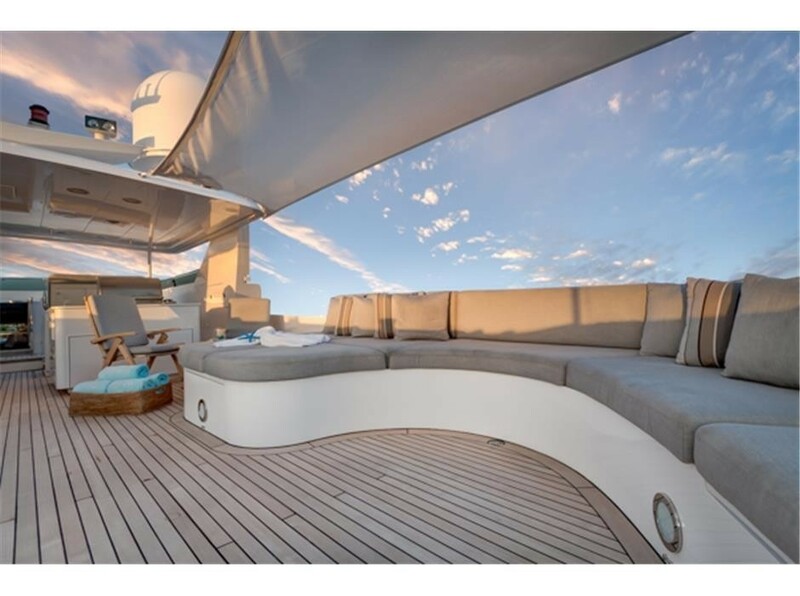 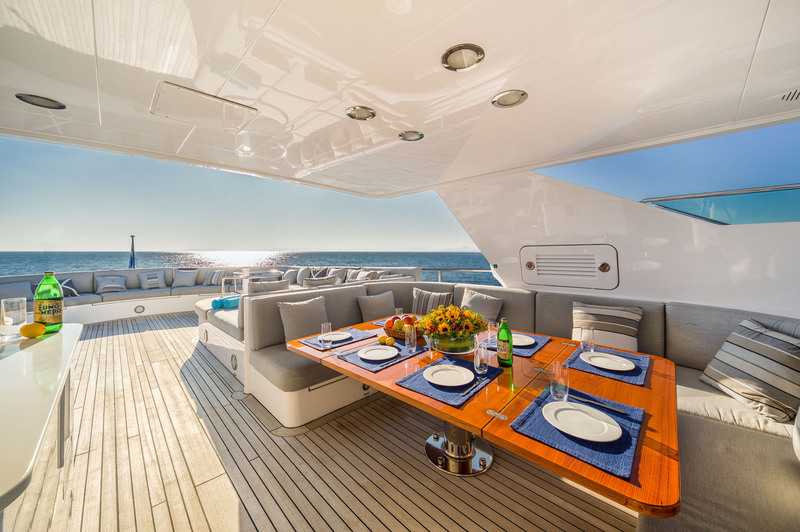 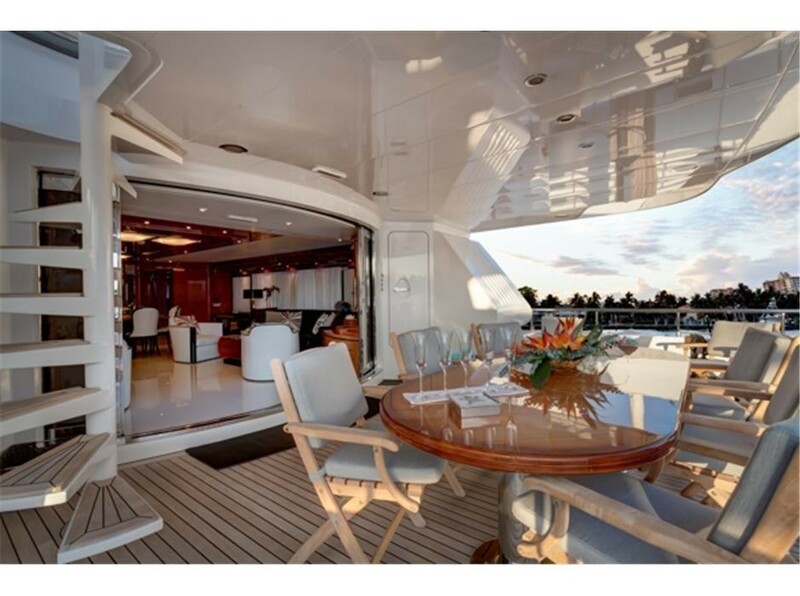 There is an al fresco dining table that is covered and the aft section of the top deck is the perfect place to relax in the sun with oversized sunbeds lining the aft section of the yacht with an umbrella, bar fridge and BBQ. 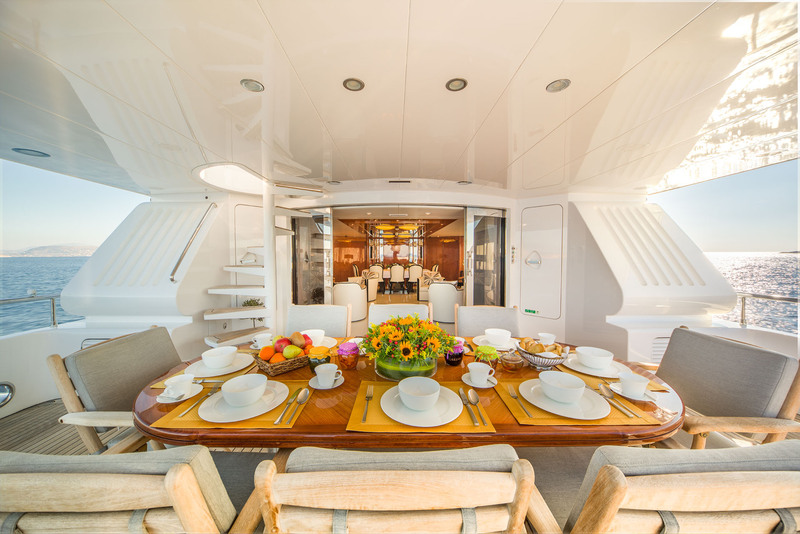 There is an alternative al fresco (covered) dining area on the lower aft deck and an additional sunning area on the foredeck. 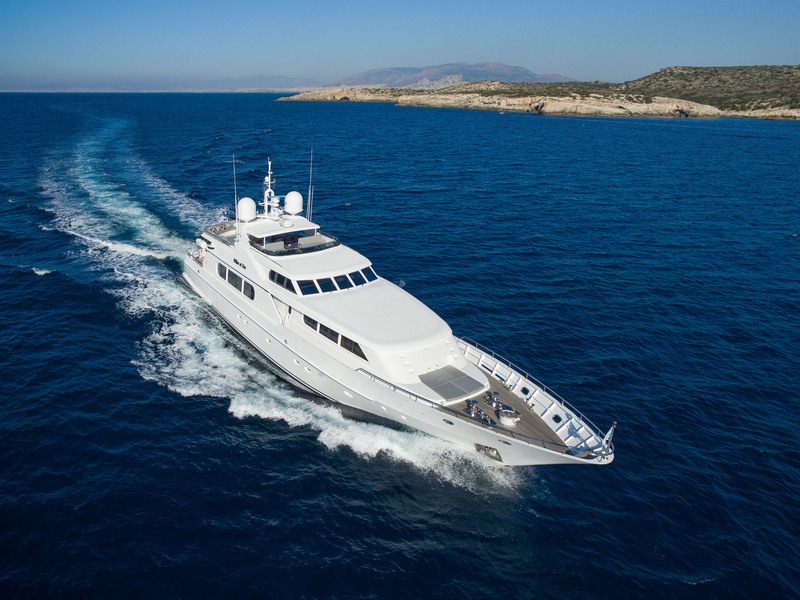 Codecasa motor yacht MILOS AT SEA can accommodate 8-10 charter guests in 4 cabins including the master cabin located on the main deck and 3 cabins located on the lower deck including a VIP cabin and 2 twin cabins. 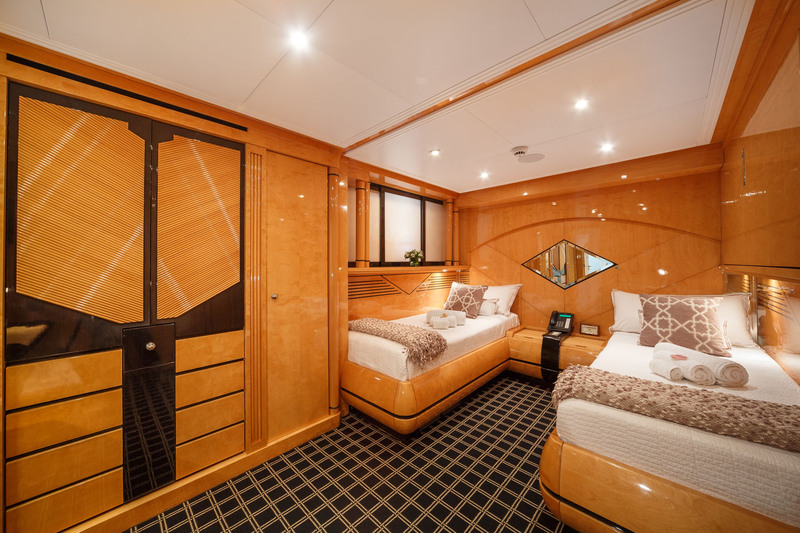 Both the twin cabins have a Pullman bunk.